(Redita) 14 tracks - previously unreleased material, Demo recordings, alternative takes and more! Born in Windsor, Ontario, Jack Scafone (his family name) was the oldest of a large family of seven. At sixteen Jack formed his first band, known as the Southern Drifters. playing mainly country songs. They played regularly in and around the Detroit erea where Jack and his family had moved. Whilst at High School in Detroit his friend Leroy Johnson was sent to prison for assault. This incident Jack used for the theme of a song he wrote called 'Leroy'. 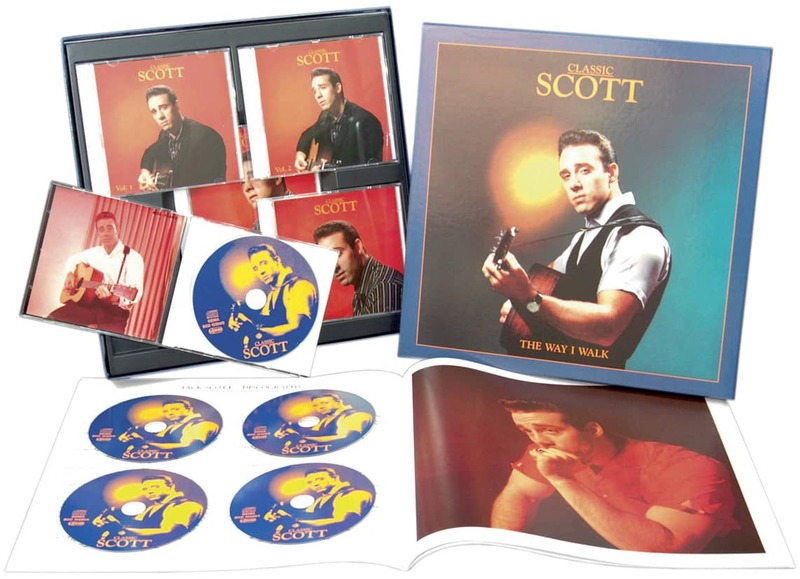 Keen to play professionally, Jack made a demo disc of 'Leroy' and added another self penned ditty -My true love- as the B side and took it to record producer Bob Schwartz for his opinion. As the record played. 'Lucky' Carle, manager of Southern Music. walked in and listening to the disc, not making any comment. Bob Schwartz thanked Jack for bringing the songs and left it here. This record eventually reached the ears of Joe Carlton, A & R Chief of ABC Paramount Re-cords. who offered Jack a contract. 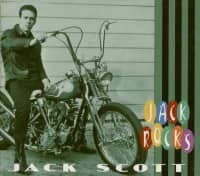 Jack's first two releases were 'Two Timin' woman' and 'Go wild little Sadie' neither causing much reaction amongst record buyers. 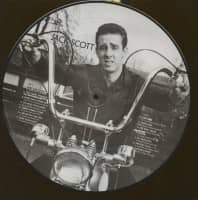 Currently though 'Go wild little Sadie' is thought by many to be Jack's finest Rockabilly track and is much in demand by collectors. Eventually,Joe Carlton left to form his own label and asked Jack to join him. 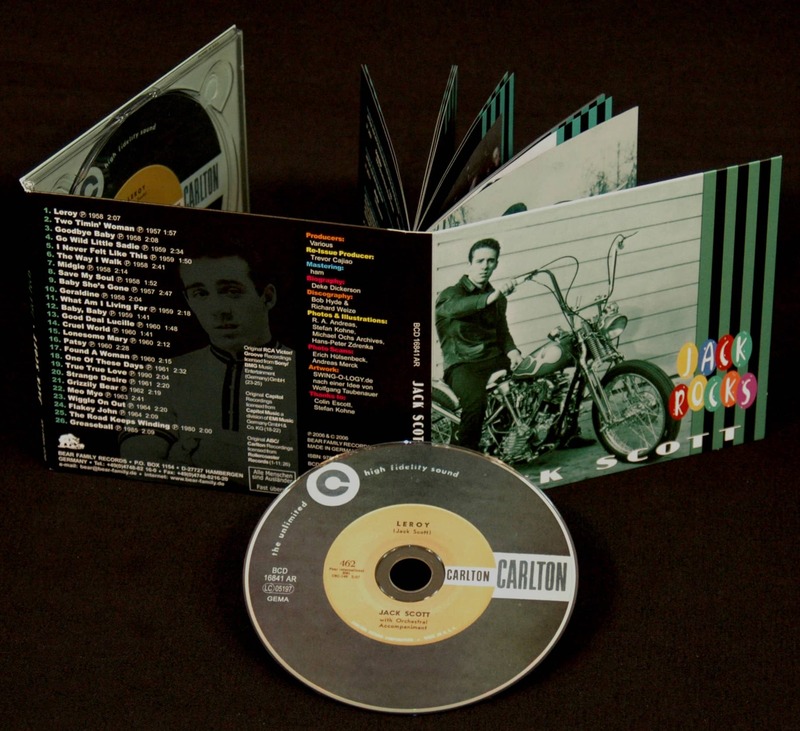 Jack's faith in Carlton's ability as a producer paid off with his first re-lease, the million selling 'My true love' and 'Leroy'. The follow up 'With your love', 'Geraldine' also registered strongly, putting Jack among 1958's top sellers. His third release 'Goodbye Baby' sold very well and set a record for the length of time he had with 19 hit records in the U.S. charts between june 1958 and november 1961 more hits in a shorter time span than any other performer-ever! In 1959 Jack Carlton's contract was bought by Top Rank Records of America and his first release 'What's in the world come over you' became his second million seller with the follow up 'Burning Bridges' - also making the U.S. charts. 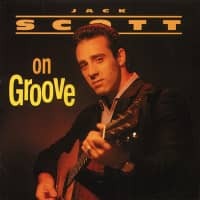 Yet even then it was tough to find anyone who have heard of Jack Scott. The fan magazines were full of Elvis, Buddy, Ritchie, Lewis, Fats, Richard,Paul, Chuck, Chubby, Conny, Brenda, Anette, Fabian, Frankie and Bobby, Bobby, Bobby, Bobby and Bobby! Rarely did they mention Jack Scott. In my early days friends would ask who my favourite singer was. I'd say: Jack Scott. They'd say: 'Who?' Yet it seemed that everytime I'd turn on the radio, he'd have another hit record... and while my friends might not remember his name, they always remember his songs. If you were 14 years old in 1958, heroes were important... and heroes were better when they were your own. Jack Scott was a great hero to have. He was one of the few singers to write his own hits, released whole albums of gospel and country songs and even wrote a couple of spirituals. He had a great background vocal group called The Chantones, and could really play guitar. Most of his singles were two-sided hits and he was the only singer I'd ever heard of that recorded for labels like Carlton and Top Rank. Perhaps best of all, though... Jack Scott was, and still is, Canadian! Having come to know Jack today I can understand, perhaps, why he never became a 'Media star'. He's quiet, unpretentious, some-what shy, and quite happy to be close to his family. I suspect he was like that when he had all those hits. 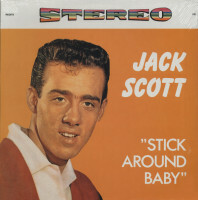 Today, in Europe, England and Scandinavian countries, Jack is surprised to draw large crowds to his concerts, surprised that celebrities would drop by hoping to get an autograph, surprised that today's artists would have hits with his songs, and surprised that various movies would have him on their soundtrack. I'm not surprised. I'm only surprised it's taken so long. TodayJack is still very active in the recording field and owning his own 'Ponie' label. If some of the songs like more recent records you've heard before, it's only because a singer of songwriter heard them before you did. Robert Loers. Customer evaluation for "Stick Around Baby (LP)"